Are new skeleton warriors in the works? Topic: Are new skeleton warriors in the works? Anyone know? 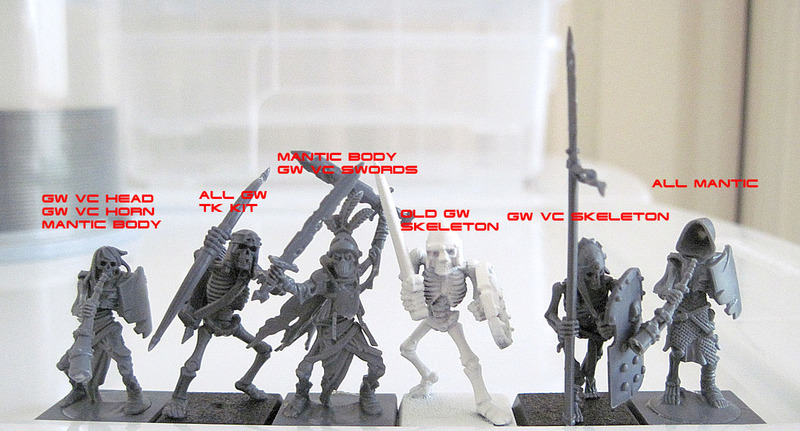 Never liked the version that came out in the 90s, preferring the 80s ones, but never purchased more than 10, before these went OOP - really wanted that Skeleton Army box. Re: Are new skeleton warriors in the works? They're likely being repackaged with a price change and round bases. I doubt we'll see new undead until much later this year or next year(it's clear Nagash is plotting something). Besides a likely Destruction warband to go with ShadeSpire, AoS rumors are new dark elves and Skaven this year to go along with a new global campaign focusing on Slaanesh's capture. There has been a preview of some new Sepuchural Guard, but for Shadespyre which is dues late this year. It could be a mistake on the website. While "Sold Out" usually means something has gone for good, it could be an admin error, and that it should be marked as "Temporarily Out of Stock". If it's still the same way after a week or two, then it could well be sold out. 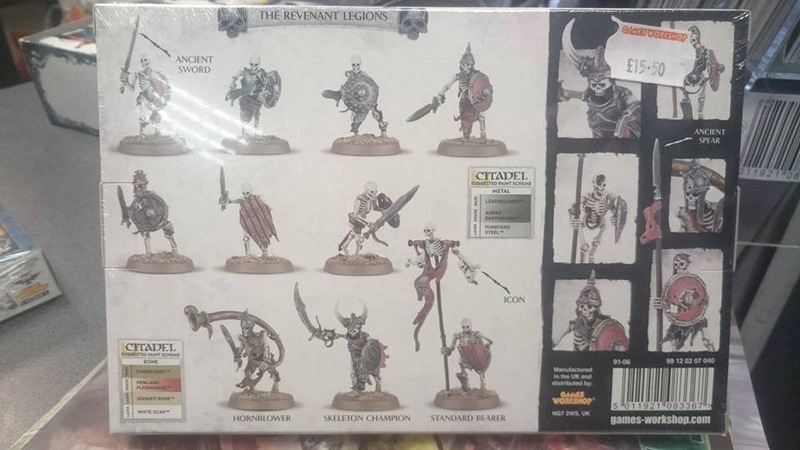 Even then it could just be sold out in it's current form, as Baron suggested, quite a few of these have been shortly before re-packaging for Age of Sigmar on round bases. I would possibly expect that to go along with a Battletome though, and there hasn't been much of a hint that anything has been coming for Deathrattle, though I wouldn't rule it out entirely. Repackaged but sadly no better deal. The new title is interesting, though. That could mean a new Death battletome is close at hand. Definitely like the name. Always liked the word revanant. I've never been a fan of the skeleton hornblower, although I like the other skellies. That said we could certainly use some new ones, and the other ones above look awesome.